This is a complete Compaq iPAQ 64MB motherboard / main board. If your iPAQ main board has failed this is a drop in replacement part no soldering is required for installation. * Processor 206MHz Strong Arm Processor. * Memory 64MB SDRAM, 32MB Flash ROM Memory. * Secure Digital (SD) Memory Card Slot. 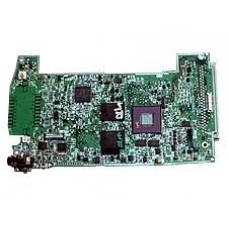 If your units motherboard / mainboard has failed, we supply a full in house repair service to restore your iPAQ to worki..